Operated by Vancouver Whale Watch in July and August only, adult tickets are just $12 for the narrated excursions on a comfy but fancy-free former BC Ferries lifeboat. And while the standard 45-minute tours run on most days, Sundays offers an even bigger hook for heritage fans: an option to stop off at Britannia Shipyards National Historic Site, explore the free-entry attraction, then hop back on the next boat. On a recent Sunday, we boarded the 12-passenger vessel for a sun-dappled voyage into Steveston’s intriguing maritime past. Led by jocular guide and boat pilot Captain Dave, we heard tales of the area’s often-gritty history while cruising past the harbour’s working vessels and birdlife. The engine rumbles into life as Captain Dave steers us from the sunbaked crowds of Fisherman’s Wharf, weaving past a gaggle of antique vessels and still-working fishing boats. He tells us about the white-painted vintage ship here that once ran cargo to Hawaii plus the old tugboat denoted by the diamond shapes painted on its stack. Garry Point Park is just ahead and while it’s now crowded with promenaders and kite flyers, it was once a haunt for local Indigenous people, who came here to fish and berry-pick during the summer season. The park also houses one of the area’s most prominent public artworks: a tall, slender net needle sculpture memorializing fishermen lost at sea. Turning and trundling back over the smooth water between the village shoreline and nearby Shady Island—more on that later—we learn more about Steveston’s rich fish-canning heritage. Glancing at the red-trimmed, Gulf of Georgia Cannery National Historic Site, we hear that this was once one of the world’s biggest salmon canning operations, nicknamed “the monster” for its vast production capacity. Originally, its workforce was comprised mostly of Coast Salish locals but Chinese immigrants soon dominated the jobs here as well as in many of the other canneries that used to operate in BC. We spot the remnants of several other local canneries in the old wooden piles that still poke from the water near the shore. Steveston was a fishing industry behemoth for decades and it’s still a hive of human maritime activity. But it’s also a top spot for local wildlife, particularly birds. Alongside a curious seal that takes a peek at us en route, Captain Dave points out the feathered critters he sees as we saunter along the river: a pair of swans shimmy alongside, while a bald eagle couple in a nearby tree eye us carefully. We also hear about the sturgeon that live in the Fraser. The world’s oldest surviving fish species is protected here. And while they can grow to as much as 600lbs and 14-feet long, we hear that they can also live for well over 100 years. After turning the boat in front of the waterfront’s towering ice factory—it supplies ready-made ice directly to the fishing boats so they can preserve their haul onboard—we ease alongside the dock at Britannia Shipyards National Historic Site. Stopping here on request, this is the perfect Sunday hop-off for history nuts. Starting life as a cannery, Britannia converted into a shipyard in its early years. It’s now a celebrated museum site with more than a dozen preserved and highly evocative buildings that look as if their yesteryear workers and residents have just stepped away. 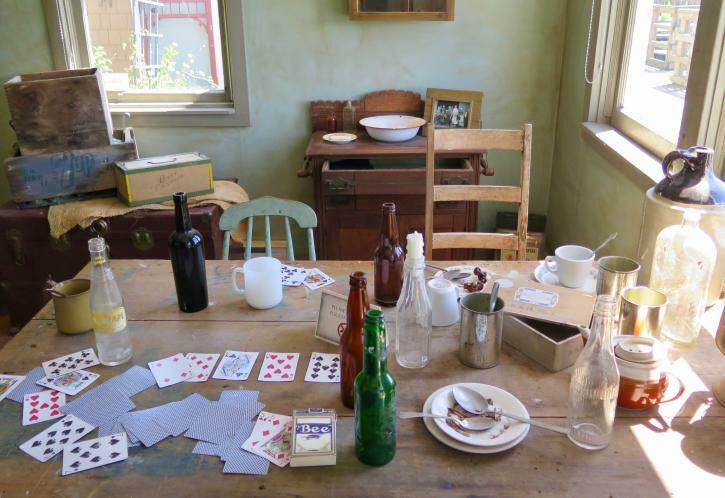 The Men’s Bunkhouse has a grubby table of apple cores and playing cards; the fine furnishings of the Manager’s House look cozily palatial; and the Murakami House takes visitors into the lives of the Japanese boatbuilding families who thrived here for years before internment during World War II forced them away. Back on the boat for the short hop to Fisherman’s Wharf, Captain Dave tells us more about Shady Island, the uninhabited landmass on the opposite shore. Its name echoes its dodgy past as a key player in Steveston’s active rum-running operations during US prohibition. We also learn that the old village, with its high proportion of salty sea dogs, was once studded with saloons, gambling dens, and various unwholesome activities. Back at the Wharf, with families wandering the boardwalks, ice cream sales in full flow and lots of boutique shops to explore, that tough-as-nails history seems like a million miles away. But that’s a big part of Steveston’s appeal for visitors interested in the past: it’s a charming destination today, but its bygone stories are just around the corner. 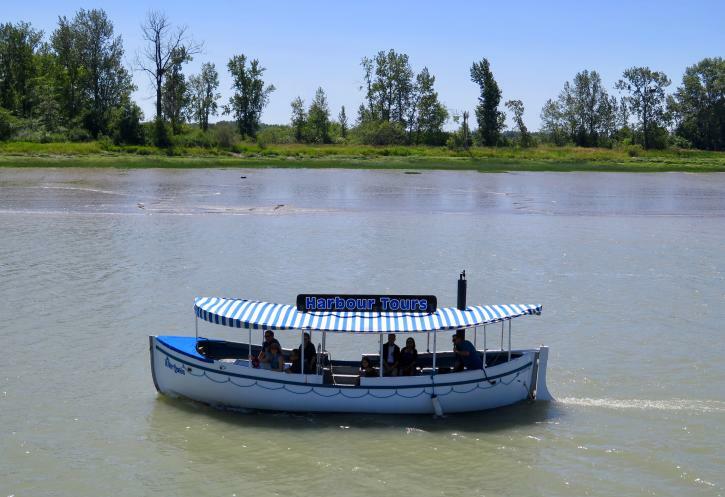 Vancouver Whale Watch’s standard River Queen tours typically run daily (except Wednesdays) from 11:00am to 5:00pm in July and August only. 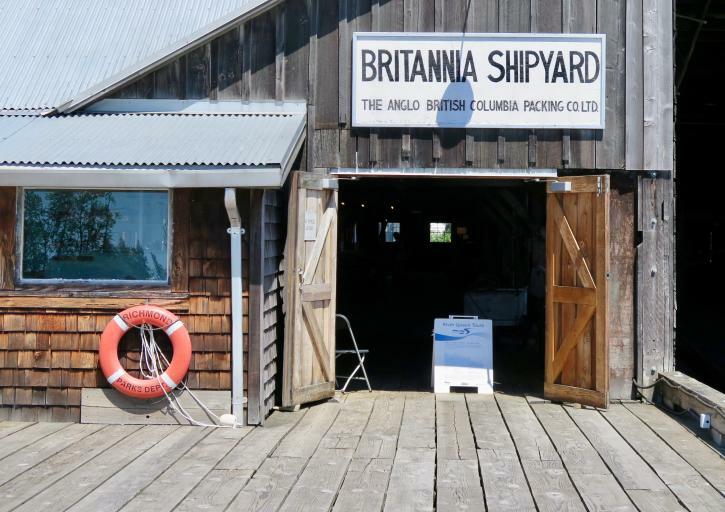 On Sundays, the tour includes a stop-off option at Britannia Shipyards. Tickets are $12 for adults with discounts for students, seniors and children. The Sunday service also includes a one-way option, enabling you to walk to/from the Shipyards, if preferred. Tickets (cash only) can be purchased at the Fisherman’s Wharf Vancouver Whale Watch kiosk or onboard the boat. 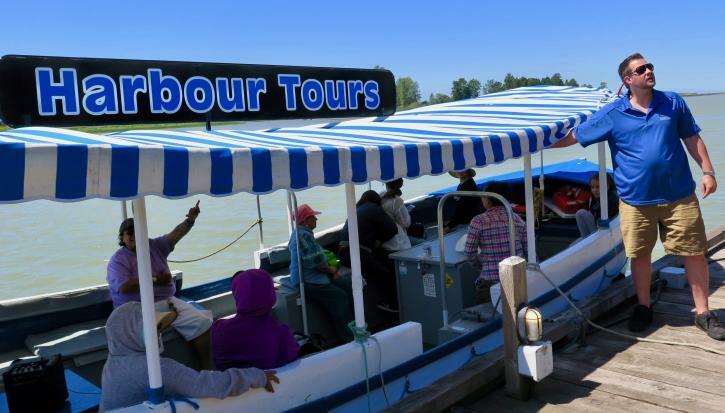 The boat’s schedule and days of operation are subject to change, so you are strongly advised to call ahead (604-274-9565) on the day you’d like to visit.